Attention! This web page is hosted on EthicsPoint's secure servers and is not part of the Mississippi State University website or intranet. 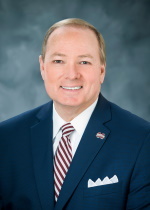 At Mississippi State University, we are committed to promoting responsible and ethical conduct in all areas of our university, and I believe each member of our community plays an important part in this effort. I encourage each of you to help us promote this type of positive environment by acting responsibly in your own behavior and individual choices and by also being aware of how to respond if others act in a manner inconsistent with this commitment. While I do not believe that improper or unethical conduct is characteristic of the MSU family, we are committed to providing a number of reporting options in the event you need to advise MSU administrators of a particular situation. A summary of those reporting options can be found at http://www.oci.msstate.edu/violations/reporting/ and, in the event you need to make a report, I encourage you to review those options and choose the one best-suited to your situation. In addition to these traditional reporting options, MSU also provides a phone and Internet-based reporting system, the MSU Ethics Line. Managed by the company EthicsPoint, the MSU Ethics Line provides a readily available way to discreetly and confidentiality report activities that may involve criminal, unethical, or otherwise inappropriate behavior in violation of MSU policies. We view the MSU Ethics Line as a reporting tool to assist the university family in working together to address fraud, abuse, misconduct, and other violations, while helping to cultivate the positive environment we strive to maintain. The system is designed to allow for anonymous reporting and to provide a formal mechanism for investigation, follow-up, and response. You may file a report through the MSU Ethics Line on this page or by telephoning toll-free 877-310-0424. The MSU Ethics Line is not a substitute for existing reporting channels already established by Mississippi State but is, instead, an additional means of reporting, which may be of particular benefit in those situations where the reporter would like to remain anonymous. I encourage you to continue to resolve issues or disputes through established communications channels first, but when necessary, MSU Ethics Line provides a valuable alternative in helping our university maintain its responsible and ethical reputation. I appreciate your diligence in helping us maintain our ethical standards and all that you do to help Mississippi State excel. If you require emergency assistance, contact 911 or your local authorities. For student mental health concerns, you may contact the student center 24 hours a day 662-325-2091. If you have experienced a sexual assault and need help, you may contact the MSU SafeLine at 662-325-3333. Reports made on this system are not monitored immediately upon receipt and may not receive and immediate response may take up to 48 hours for a report to be reviewed. Do not use this site to report events presenting an immediate threat to you or property. Select the "Make a Report" link at the left of this web page. After you complete your report you will be assigned a unique code called a “report key”. Write down your report key and password and keep them in a safe place. After 5-6 business days, use your report key and password to check your report for feedback or questions.